Marina López and Kerry Taylor are the co-coordinators of The Citadel Oral History Program (COHP). Before joining COHP, Marina López was a counselor to Spanish-speaking immigrant families in the Charleston, South Carolina area. Kerry Taylor is a historian at The Citadel: The Military College of South Carolina, specializing in twentieth-century U.S., labor, African American, and oral history. 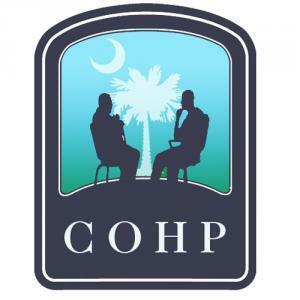 Their work with COHP resulted in a collection of thirty Latino oral history interviews, thirteen of which are already available to the public through the Lowcountry Digital Library. A special thanks to Glorimar Blanco, professor of Spanish at The Citadel and Charleston Southern University, for proofreading the Spanish section of the exhibit. Ansley, Fran, and Jon Shefner, eds. Global Connections & Local Receptions: New Latino Immigration to the Southeastern United States. Knoxville, TN: University of Tennessee Press, 2009. Anzaldúa, Gloria. Borderlands: The New Mestiza = La Frontera. San Francisco: Spinsters/Aunt Lute, 1987. Fink, Leon. The Maya of Morganton: Work and Community in the Nuevo New South. Chapel Hill, NC: University of North Carolina Press, 2003. Mantero, José M. Latinos and the U.S. South. Westport, CT: Praeger, 2008. Marrow, Helen B. New Destination Dreaming: Immigration, Race, and Legal Status in the Rural American South. Stanford, CA: Stanford University Press, 2011. Murphy, Arthur D, Colleen Blanchard, and Jennifer A. Hill. Latino Workers in the Contemporary South. Athens, GA: University of Georgia Press, 2001. Odem, Mary E., and Elaine C. Lacy. Latino Immigrants and the Transformation of the U.S. South. Athens, GA: University of Georgia Press, 2009. Overmyer-Velázquez, Mark. Beyond La Frontera: The History of Mexico-U.S. Migration. Oxford: Oxford University Press, 2011. Overmyer-Velázquez, Mark. Latino America: A State-by-State Encyclopedia. Westport, CT: Greenwood Press, 2008. Ruiz, Vicki L. From Out of the Shadows: Mexican Women in Twentieth-Century America. New York City, NY: Oxford University Press, 2008. Schmidt Camacho, Alicia. Migrant Imaginaries: Latino Cultural Politics in the U.S.-Mexico Borderlands, New York City, NY: New York University Press, 2008. Smith, Heather A., and Owen J. Furuseth. Latinos in the New South: Transformations of Place. Aldershot, England: Ashgate, 2006. Weise, Julie M. Corazón De Dixie: Mexicanos in the U.S. South Since 1910. Chapel Hill, NC: University of North Carolina Press, 2015.